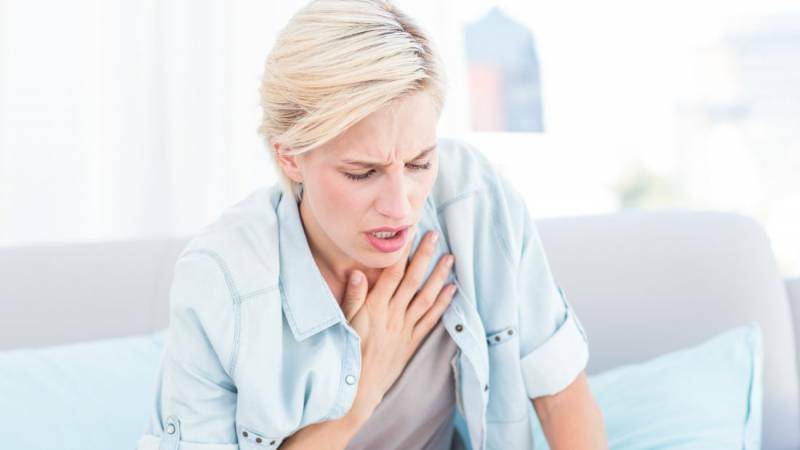 Chronic Obstructive Pulmonary Disease (COPD) is a term refers to a group of progressive lung diseases such as emphysema, refractory asthma, chronic bronchitis, and some forms of bronchiectasis. COPD causes increasing breathlessness and a stable of related symptoms. The early increased breathlessness may be mistaken for a normal symptom of aging, or may even go unnoticed. In fact, COPD may take years to develop before noticing any symptoms. The symptoms become more clear as the disease progresses. This is why it is important to try to prevent COPD, as sometimes the disease has advanced before symptoms are noticed. New COPD research has shown that most people suffering from COPD lose the most lung tissue in the beginning of the disease, as they have acute attacks. Patients appear to lose much of their lung function before even being diagnosed with COPD. For this reason, it is important for researchers to focus on prevention as well as a cure. Among the newest treatments for COPD is Stiolto Respimat, which helps COPD patients in two ways. This once a day inhaler uses Tiotropium, which targets the nerves that cause the muscles to constrict. This causes the muscles to relax and allows the airways to expand. This inhaler also contains Olodaterol, which takes advantage of the expanded airways. It signals the body’s adrenaline system to activate, which flushes open airways. Without muscle tightening in the airways, the lungs are able to expand more fully. This drug acts fast, offering relief within five minutes. Aside from taking prescription medicine, people can also help to manage their COPD through their diet. It is especially important to eat anti-inflammatory foods and avoid dairy when suffering from COPD. Here are some specific diet tips one should follow. Protein plays an important role in protecting the body by producing antibodies to help fight off infections. Protein loss can severely reduce the lungs’ ability to fight off infections. The best sources of protein for people with COPD are meat, fish, and legumes. To add extra protein to your diet, add chopped meat to vegetables and soups. Also, snack on almonds, baked beans, or other high-protein nuts throughout the day. Drinking enough water is vital for the clearance and thinning of pulmonary secretions. Patients using supplemental oxygen therapy may experience dry mucus membranes and irritation. Drinking a lot of water will keep you hydrated. It is recommended for COPD patients to drink 8 to 12 cups of water each day. Although research is largely inconclusive, some asthma sufferers have reported aloe vera juice to be a helpful preventative remedy. Aloe plants contain anti-inflammatory properties and is often used in topical ointments, so its a no-brainer that it would have similar properties if ingested. Drinking whole leaf aloe vera juice could potentially be a helpful solution if you’re presently aware of allergens that aggravate your COPD symptoms, but should be taken alongside any modern medicine you’ve been prescribed by your doctor. As with all self-prescribed treatments, be sure to contact your family doctor before taking aloe vera juice as a treatment. Too much salt can result in fluid retention, shortness of breath, and increased blood pressure. A diet with salt restrictions can help COPD patients stay healthier and breathe better. It may also help decrease high blood pressure. To reduce your intake of salt, do not add salt while making or consuming food. Also, avoid salty prepared foods as well as cured smoked and canned meats, hot dogs, bologna, salami, and ham. Calcium and magnesium work together to regulate muscle contractions, lung function, and blood clotting. Calcium also helps the structural strength of bones, the immune system, and the motion of neurotransmitters. Osteoporosis affects over 31 million people and is very common with COPD patients. There is evidence that COPD is a risk factor for osteoporosis, which may be made worse by corticosteroids, which are medicines that are often used to treat lung disease. Corticosteroids cause the body to lose calcium, leading to bone loss. To prevent osteoporosis, it is important to eat a diet rich in calcium. Phosphorus is an important part of the structure and function of the body’s cells. It helps to create energy and is involved forming bone, and building and repairing tissues. Foods that are high in phosphorus include meat, fish, poultry, nuts, and legumes such as kidney beans and black beans. COPD patients have an elevated risk of phosphate depletion. Studies show that up to 50% of COPD patients have low levels of phosphate. This may be due to the side effects of COPD medications. Adequate phosphorous is required for optimal pulmonary function. Low phosphorus levels may result in respiratory failure. If you are deficient in phosphorus, you can eat more phosphorus-rich foods, or take a supplement. Following an anti-inflammatory diet is beneficial to those who suffer from COPD. An anti-inflammatory diet is an eating plan that is designed to minimize chronic inflammation, which plays a critical role in the development of COPD. Eating an anti-inflammatory diet can be a great boost in treatment for chronic inflammation. An anti-inflammatory diet includes lots of fruits, vegetables, and healthy fats and proteins. Bananas and berries are good fruits because they have other health benefits as well. It is also important to limit the consumption of highly processed foods and excessive sugar. Inflammation is the body’s response to disease. It is well understood that certain chronic diseases, such as COPD, are linked to chronic inflammation. Chronic inflammation occurs when the immune system keeps releases chemicals that are usually responsible for fighting off viruses and bacteria. Chronic inflammation can be due to stress and happen even when there is not a virus to fight off. Because nutrition has such a large influence on chronic inflammation, the anti-inflammatory diet can help reduce inflammation treat the symptoms of COPD. Anti-inflammatory foods include vegetables of all of the colors of the rainbow, whole grains such as quinoa and millet, seafood with omega 3 fatty acids such as salmon, as well as plant based proteins such as edamame. Some foods have anti-inflammatory super powers too – ginger and turmeric are among them. It is important to avoid dairy while on an anti-inflammatory diet, such as cheeses, yogurt and milk, as well as margarine, vegetable oils, and meats high in Omega-6 fatty acids. While the scientific research is still new to discovering the benefits of an anti-inflammation diet for patients with COPD, conducted research shows that following an anti-inflammatory diet can help reduce proteins that are C-reactive, which are present in the body during times of inflammation. Also, evidence shows that the anti-inflammation diet can help reduce long-term inflammation and inflammation-related diseases. COPD sufferers may also find relief in avoiding cruciferous vegetables, such as radishes, broccoli, bok choy, cabbage, brussel sprouts and cauliflower. These vegetables, while full of vitamins, can cause excess bloating and gas which can cause pressure and make it more difficult to breathe. When suffering from COPD, it is important to make appropriate lifestyle changes to help the body through times of relapse and inflammation. The diet plays a big role in this, so along with new medications that are coming out, adapt a healthy lifestyle that will help keep the body’s inflammation down and help COPD patients continue to breathe.